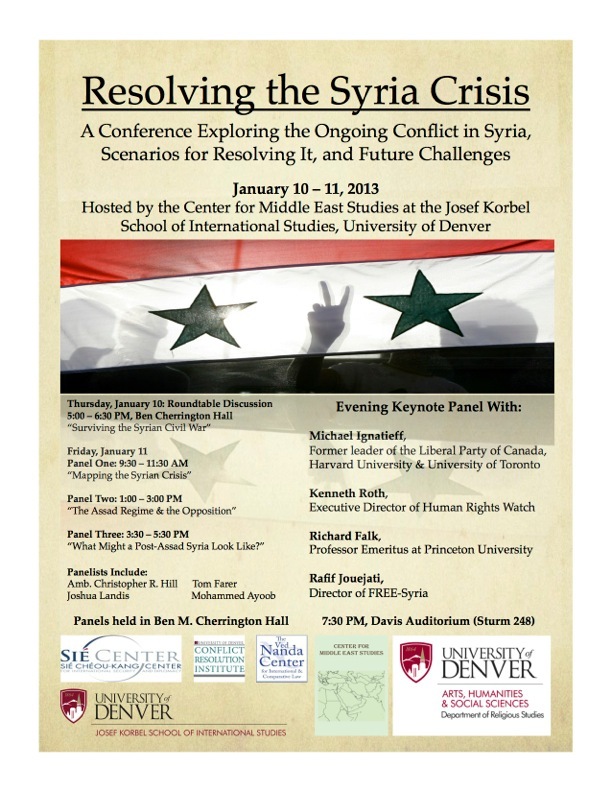 On January 10-11, the University of Denver hosted “Resolving the Syria Crisis,” a conference featuring participation by academics, Syrian activists, journalists, and a plenary session with Michael Ignatieff, Richard Falk, and Kenneth Roth. The event was hosted by the Center for Middle East Studies, which is part of the Korbel School of International Studies. The Center hosts its official launch event today, Tuesday, February 25th. Here are some of our key observations from the conference. 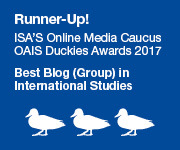 The Syrian case is unique… Or is it? Scholars would often try to support their empirical claims (and policy recommendations) by invoking analogies or patterns observed across historical cases. However, the Syria specialists would routinely reject these claims on the basis that “Syria is different.” This was a common source of disagreement — just how “different” Syria is from many other civil wars from history. Whether Syria is comparable to other cases depended in part on the policy options the commentator supported. 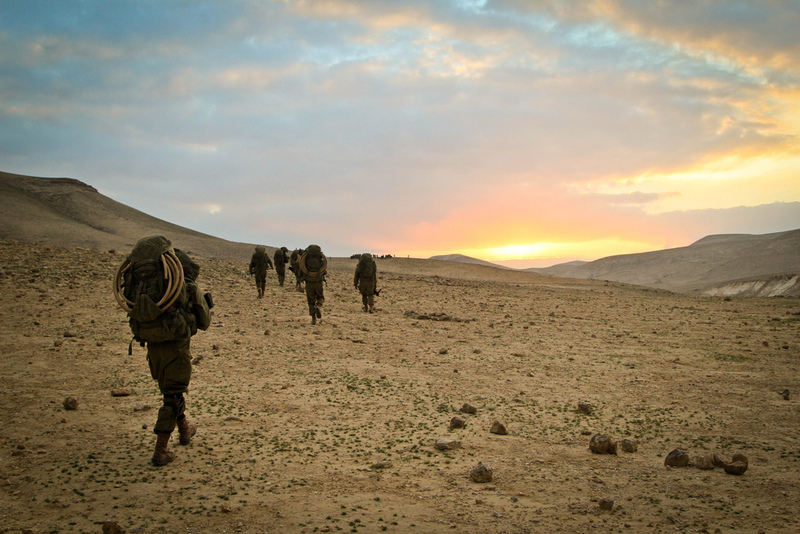 Proponents of foreign military intervention, for instance, proffered cases like Libya and Bosnia; precedents that support their pro-interventionist stance. Others felt the violence and severity of repression had no parallel. In our view, the validity of analogies comes down to the level at which one is conducting their analysis. Certainly if one gets specific enough differences can be found between cases, while at higher levels cases may have more in common. In sum, the policy debate could benefit from some Research Design 101. Civil war or one-sided violence? Activists and opposition groups take issue with calling the fighting in Syria a civil war, viewing it more as one-sided brutality by the Assad regime or sometimes even calling it “genocide.” A more appropriate term might be politicide, where violence is directed against political opponents. But these days, it is also clear that the Free Syrian Army and its militia affiliates are themselves responsible for plenty of deaths as well, meaning that it is a civil war (albeit a lopsided/asymmetric one) by any conventional standard. Some activists blame the “Islamization” of the war on the lack of Western aid. One activist was disgusted by US State Department envoy Victoria Nuland’s statements that “our hearts are in Aleppo” (“We don’t need your hearts!”) and that “we don’t need more militarization” (“Then how are we to prevent more Aleppos and keep the movement secular?”). Syrian opposition groups are confused by the US stance. They see contradictions between America’s initial reluctance to take action (i.e., intervene military or send heavy weapons) to stop the conflict’s Islamization and later decision to blacklist the Islamist militia Jabhat al Nusra as a terrorist organization. Syrian opposition groups want foreign powers to impose a no-fly zone and humanitarian corridor. So did some of the other observers. However, their arguments rested on five assertions that deserve careful consideration: (1) that rights-respecting rebel groups would then gain the upper hand in the war and usher in a swift victory; (2) that Western powers would then gain more political influence over the longer-term outcome of the conflict; (3) that the West has a moral imperative to act now; (4) that such actions would not give Assad useful propaganda about foreign invasion or carte blanche to increase repression; (5) and that the West would now change its position and pursue these policies when there has been foot-dragging for almost two years. When confronted with evidence, however, that an international military intervention could result in more civilian deaths and lengthen the conflict, advocates of this stance fell back on the claim that Syria was different from previous historical cases, or that the moral imperative justified such action regardless of the consequences. The Center for Middle East Studies is planning to eventually publish the papers from the conference in a collected volume. We look forward to this scholarly contribution on such a timely and important topic. Great academic work exploring how civilians are surviving the Syrian conflict.